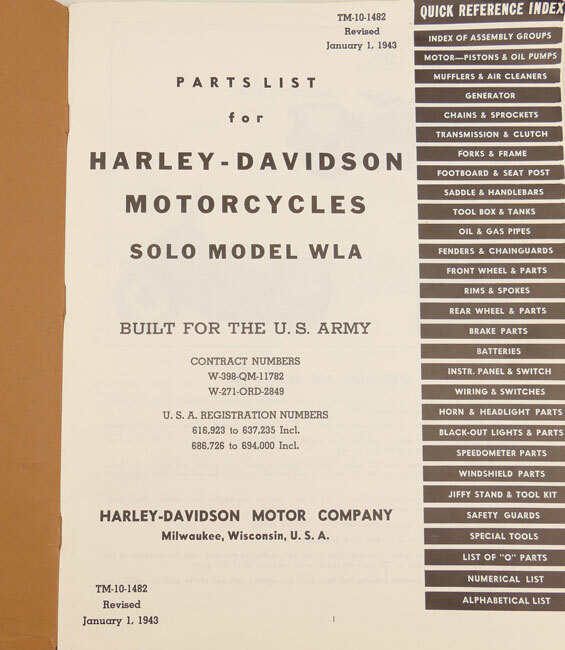 Harley-Davidson Model WLA War Department Parts List (TM 10-1482). Published on 1 January 1943. 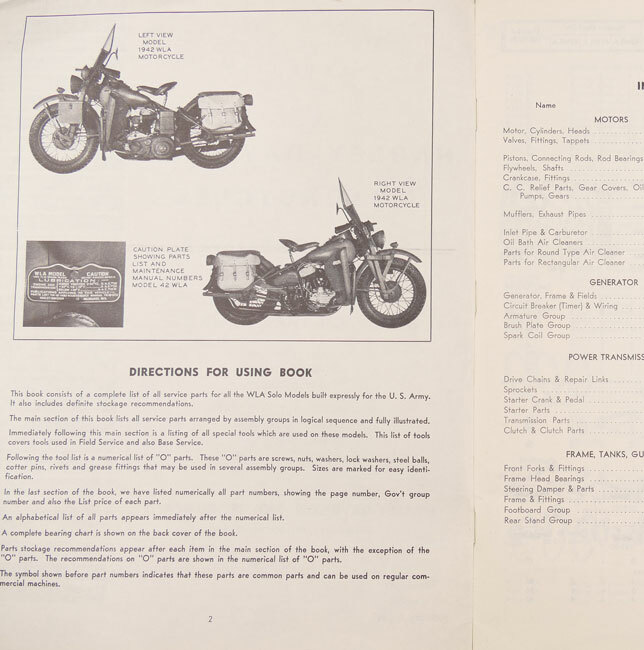 The parts list features 82 pages and shows a lot of nice black&white photographs and illustrations. 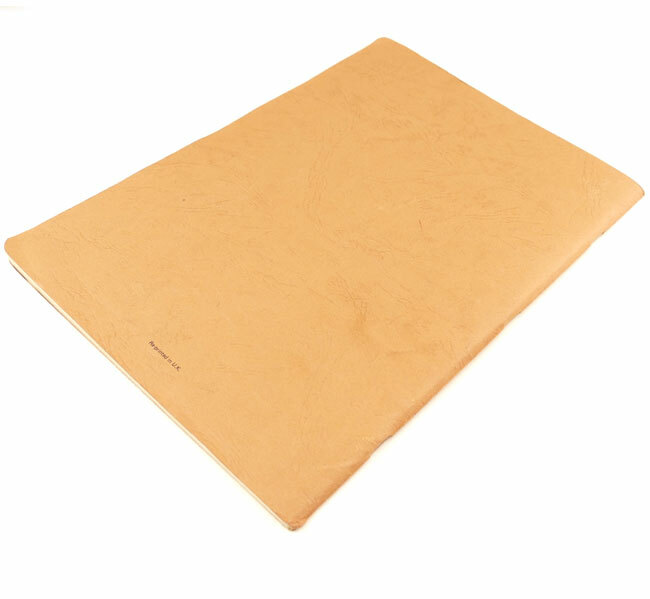 The book is in good used condition. 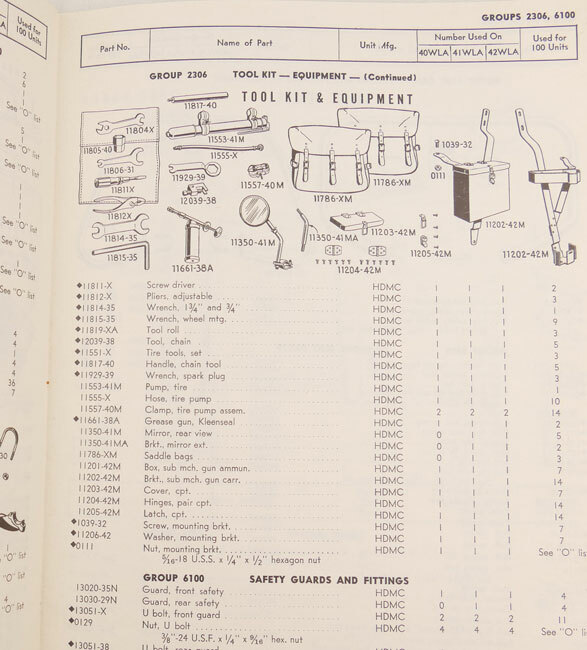 Nice original parts list! 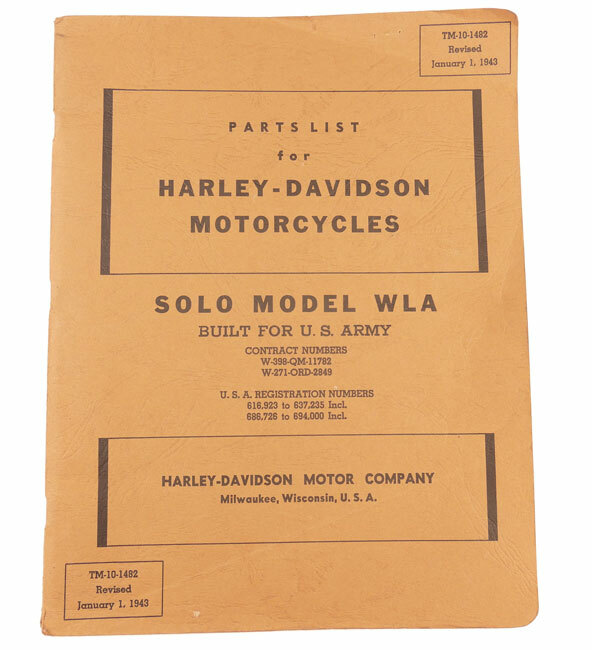 Harley-Davidson Model WLA War Department Parts List (TM 10-1482). Uitgegeven op 1 Januari 1943. Het boek telt 82 bladzijden met veel mooie zwart & wit foto's en illustraties. Het boek is in goede gebruikte staat. Mooie originele parts list!